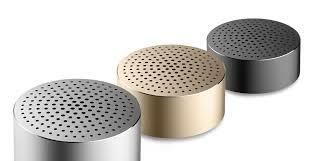 XiaomiMi speaker has a full metal body, measures just 52 × 52 × 25mm and weighs just 58 grams. It has CSR Bluetooth 4.0 chip and also has a microphone for taking calls when it is connected to a smartphone. It has 2W output and the sound is really good for a tiny speaker.On the back, it has a micro USB port for charging the battery that promises 4 hours. It also has a lanyard hole so that you can hang the speaker.Xiaomi Mi Portable Bluetooth speaker comes in Grey and Gold colors and is priced at Rs. 1299. It will be available through Mi.com and Mi Home at from June 21st. Xiaomi Mi Wi-Fi Repeater 2 has dual PCB antennas for strong signal strength and offers speeds up to 300Mbps. It lets you connect up to 16 devices, is flexible so that it can be rotated up to 180-degrees. You can set it up easily using the app and has a plug-and-play method so you can connect it to power sockets, power strips, power banks or laptops to power it up.The Mi Wi-Fi Repeater 2 is priced at Rs. 999 and will be available through Mi.com and Mi Home from June 20th. Xiaomi 10000mAh Mi Powerbank 2 and 20000mAh Mi Power Bank 2 has support for Qualcomm Quick Charge 3.0, features same ABS plastic body for a better grip and these have two-way fast charging. The 10000mAh Mi Powerbank 2 is just 14.1mm thick and has a unibody metal design. It has 5.0V-2.0A / 9V-12A, 18W input so it can be charged fully in 4.2 hours. It has 93% conversion rate and also has a low-power mode that can be activated by pressing the power button twice, to charge devices like Mi Band and Mi Bluetooth headset.It measures 130 x 71 x 14.1mm and has 5.0V / 2.0A, 9.0V / 2.0A and 12V / 1.5A – 15W output for fast charging. It has a single USB port, micro USB port, four LED lights and a power button. Xiaomi 20000mAh Mi Power Bank 2 is 23.9mm, which is slightly thicker than the predecessor, but it measures 135.5×67.6mm, making it slightly more compact. 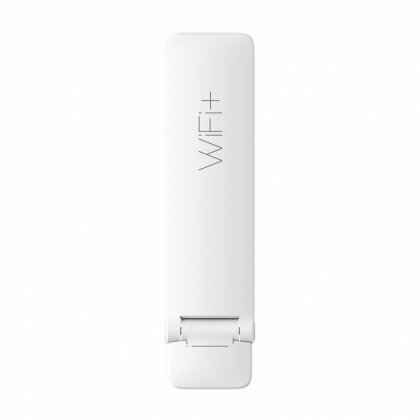 It offers dual 5.1V / 3.6A output when two devices are connected, and supports 5V/2.4A-9V/2A-12V/1.5A with support for Qualcomm Quick Charge 3.0 when using a single port. It can be charged in 6.2 hours using a fast charger and has 93% conversion rate. Xiaomi 10000mAh Mi Power Bank 2 is priced at Rs. 1,199 and the 20000mAh Mi Power Bank 2 costs Rs. 2,199. 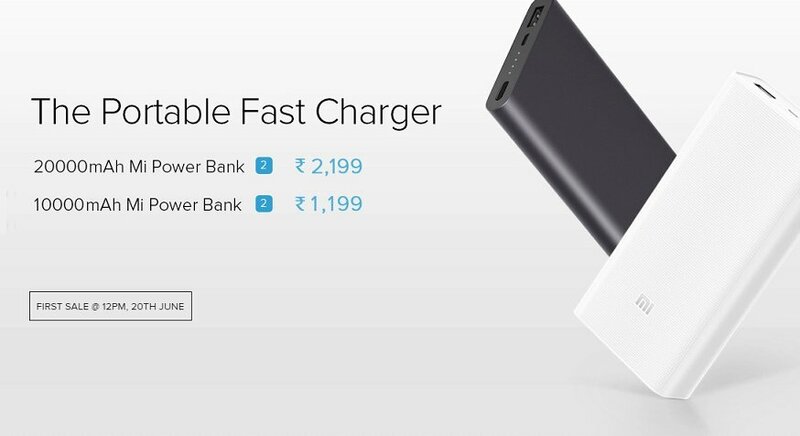 Both these come in Black color and will be available from Mi.com and Mi Home from June 20th and will also be available on Amazon and Flipkart from July 7th.